- Dia: 40", 68", 80"
We are involve in offering superior quality Collar Fabrics. 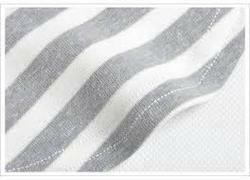 These Collar Fabrics are made from high quality of raw material which ensure durability at its user end. These products are available in market at most economical rates. To retain our goodwill in clients' consideration, we are trading an excellent range of Collar Fusing Fabric. Our reputed entity is engaged in supplying Collar Fabrics.